On October 6, Montana District Court Judge Jeffrey Sherlock (pictured) held that the state's proposed lethal injection protocol violated state law, which requires that an "ultra fast-acting barbiturate" be used in executions. Judge Sherlock said the proposed barbiturate, pentobarbital, does not qualify as such a drug. The ruling stated, "The State of Montana is hereby enjoined from using the drug pentobarbital in its lethal injection protocol unless and until the statute authorizing lethal injection is modified in conformance with this decision." In 2012, a judge struck down Montana's three-drug protocol because it differed from the two-drug protocol called for in state law. As a result of the most recent ruling, executions in Montana will continue to be on hold indefinitely. “The State has had multiple opportunities to correct the problems with the death penalty protocol. And each time they came up with a new flawed procedure,” said ACLU Legal Director Jim Taylor. “Seven years of litigation has demonstrated that Montana's death penalty is broken beyond repair." Montana has carried out three executions since 1976, the last of which was in 2006. Earlier in 2015, a bill to repeal the death penalty failed on a tie vote in the House of Representatives. Sun Pharma, which is based in India, has publicly dissociated itself from the use of its drugs in upcoming Arkansas executions. The company said it prohibits the sale of its products to entities that might use them for killing. 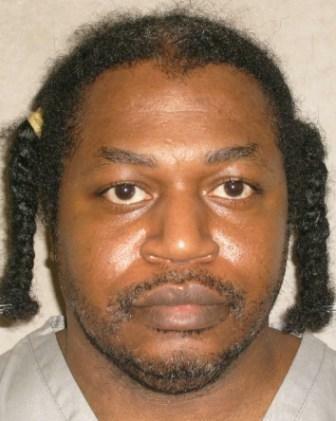 Sun Pharma was notified of the possible misuse of its products by the Associated Press, which had obtained redacted photographs of the drugs Arkansas planned to use in eight scheduled executions. A recently passed secrecy law allows the state to withhold the source of its execution drugs from public scrutiny. (Virginia's Supreme Court also recently shielded some information about executions from the public.) Other companies whose drugs might be used by Arkansas have also objected. Hikma Pharmaceuticals said it was investigating whether Arkansas had obtained midazolam from one of its subsidiaries, and Hospira, which was identified as a possible source of the potassium chloride that Arkansas plans to use, was one of the first companies to bar its drugs from executions. A shipment of sodium thiopental, an anesthetic once widely used in executions, was recently stopped in India before it could reach Nebraska. The Indian distributor sold more than $50,000 worth of sodium thiopental to the state in May, but the shipment was stopped before leaving the country because of "improper or missing paperwork." FedEx said it halted the shipment because it did not have Food And Drug Administration clearance: "As with any international importation of a drug, data about that shipment is transmitted to federal agencies in advance, including U.S. Customs and the Food and Drug Administration. If the shipment is authorized, we will deliver it to the recipient; if it is not, we will return it to the foreign shipper." Nebraska purchased the drugs despite the FDA's warning that importation of sodium thiopental for executions violates federal law. The FDA has consistently said that it will not allow execution drugs into the U.S. because the producers are not FDA-credited and the drugs are not approved for that purpose. USA Today Chronicles Declining Death Penalty: It "May Be Living on Borrowed Time"
Read more about USA Today Chronicles Declining Death Penalty: It "May Be Living on Borrowed Time"
As national execution numbers drop to historic lows and a growing number of states halt executions or repeal the death penalty altogether, Missouri has recently increased the number of executions it is carrying out and overtaken Texas for the highest per-capita execution rate. Missouri and Texas have carried out all of the last 15 executions in the U.S. and 80% of executions through September 1 of this year. A report by The Marshall Project explores why Missouri is bucking national trends, highlighting the availability of execution drugs, Missouri's political climate, and the lack of adequate defense resources. While shortages of lethal injection drugs have slowed executions in many states, Missouri has managed to stockpile pentobarbitral for use in executions. Because of state secrecy laws, the source of the drug is unknown, and state officials will not confirm whether the drug is produced by a compounding pharmacy or obtained from another source, such as a veterinary supplier or overseas manufacturer. The governor and attorney general of Missouri have pushed to move executions forward, using the death penalty to establish "tough-on-crime" credentials as Democrats in a politically conservative state. Courts have also contributed to the unusual situation in Missouri. The state Supreme Court, which sets execution dates, scheduled one execution per month to make up for holds due to drug shortages. Finally, underfunding and heavy caseloads have created what defense attorneys are calling a "crisis" in capital representation. 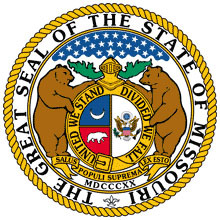 Missouri was ranked 49th of the 50 states in per-capita spending on indigent defense in 2009. 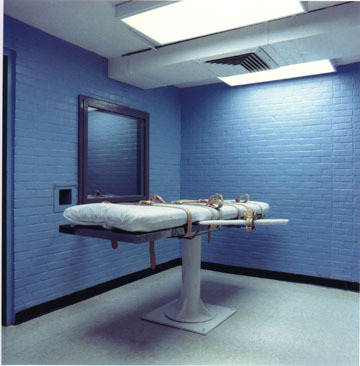 In March, the American Bar Association Death Penalty Assessment Team told the Missouri Supreme Court, "The current pace of executions is preventing counsel for the condemned from performing competently. "